In an already overcrowded MMORPG world, it may be easy to miss an outing. 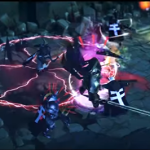 Weeks ago, it was Albion Online going out of its phase of beta on PC, Mac and Linux, and if only time will tell us the success (or not) of the game, it already stands out from quite a lot of other titles of the kind. Inspired by giants such as EVE Online or Ultima Online, Albion is an immersive and player-driven experience. An economy based solely on the objects made by the players, a violent and cruel PvP where the slightest misstep can cost all the hard-won equipment, there is something to rejoice the most assiduous. Some PvE activities are also offered, but all the interest of the game lies in its clashes between players, whether they are simple brawls to settle the famous question “who is this tree” up to large-scale guild wars. And combat, precisely, is another point that separates the game from the majority of the other titles, since it does not have classes strictly speaking. The way to fight is therefore entirely dependent on the equipment we wear. Definitely a game to test for fans of the genre and without subscription, its community is also very active, and its forums warm to wish.